Nothing can ruin your day faster than discovering that your washer won’t turn on. No matter if you live alone or with a large family, dirty clothes pile up more rapidly than you’d expect. You need to act fast to avoid lugging your items to the laundromat by diagnosing the problem yourself. If your washer won’t start, it might come down to something as simple as a lack of power due to a tripped circuit breaker. Start by finding your home’s circuit breaker box, usually located outside. You’ll need to find the switch that controls the power to your washer and turn it off, then back on only once. Now you can test the unit again to see if it will run. Even high-efficiency laundry appliances use plenty of electricity and require heavy-duty power cords. If your washer won’t turn on, there may be a problem with the cord. Pull the unit out and inspect the cord and plug. If they’ve been crushed, pinched, or otherwise damaged, replace the part. The problem can also be caused by using an extension cord to plug the washer in, as they don’t conduct enough electricity. Be sure the unit is getting power directly from the wall outlet. 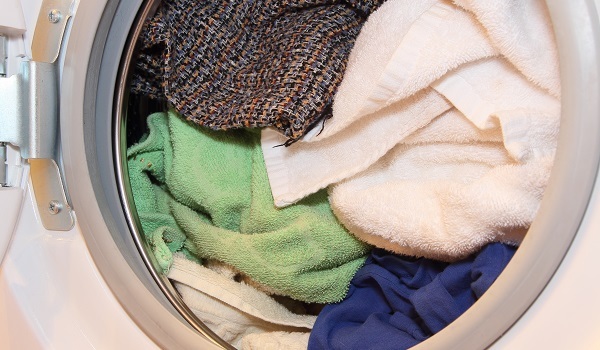 Modern laundry appliances are loaded with advanced sensors and features, and if a load becomes too unbalanced, it can stop the washer from running. This is especially true when washing blankets, towels, or other heavy items. Try readjusting the load so the weight is spread evenly, or you may even need to remove an item or two and try again. 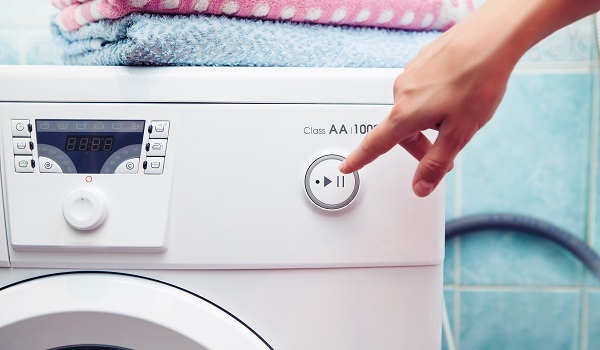 Top-loading and front-loading washers use different versions of the same thing; a switch that prevents the unit from running when the door is open. Your washer won’t start if the door switch is broken, so you’ll need to test it. Access the lid switch (top-loaders) or the door lock switches (front-loaders) and use a multimeter to test each one for continuity. If you find none, you’ll need to install a new part. Fixing the problem when your washer won’t turn on isn’t always that easy though. If you’re still experiencing problems, call ABC Appliance today for the area’s most professional repair service.